Built 1906-1911 by Luis Felipe Jaspe. Opened 11 Nov 1911 as "Teatro Municipal". 1933 renamed "Teatro Heredia". Officially named "Teatro Adolfo Mejía". 700 seats. 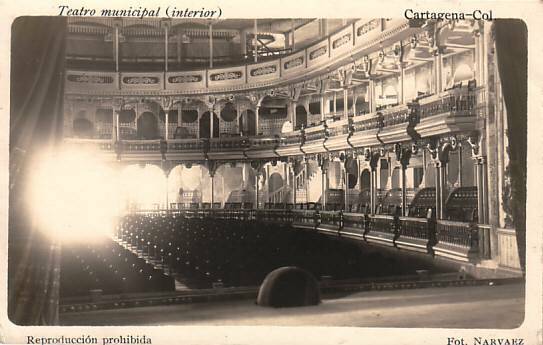 Front Text: "Teatro municipal (interior), Cartagena - Col."